Education is no more confined to any particular place and you can easily enjoy them in distant terms too. 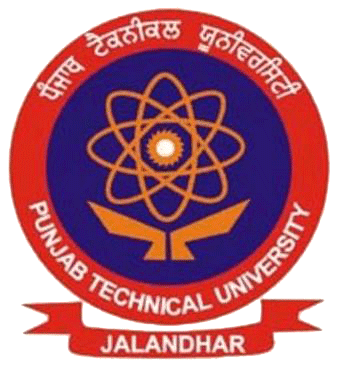 PTU or Punjab Technical University is one such name for Distance Learning. Correspondence courses are offered by 46 of Punjab Technical University through their distance Education program. What is the facility provided by the learners to the student? You get international recognition once you finish your course from this stream. It is very economical and hence highly recommended for those students who are lagging behind in their education due to financial issue. You get complete online support for learning. Free study materials are provided after you join any of the courses. Even those who are involve in a job can go for these courses as it consumes only 2 hours of yours busy schedule. According to a research of 2013 approx 80 billion US dollars was earned via those students who had finished their 10+2 course or graduation or courses in IT sector. Indirectly this shows that millions of job opportunities are waiting for those students who have finished their courses from here. You need to possess the right education, professional degree and right skill and for this PTU had officially announce the admission for 2015 session for degree/diploma courses, which are completely job oriented, under distance education. They offer special batches in the morning and evening especially for the working class students. Experience and learning both travel together here. Government job in Punjab as the computer teacher could be availed after going for the right course. Visit your nearest PTU learning centre for complete knowledge. For distance education the admission is held twice a year-march &September. The University follows semester pattern and conduct exams twice-March & September. Counseling took place at the official centers only and the perspective candidate need to carry the entire testimonial’s attested copy with him/her. Admission procedure is completely dependent upon the availability of seats and just the submission of form in no regards confirms the admission. You need to have a roll number given by the university in order to be a part of this learning. Centers will inform to the candidates who got the admission or who failed to get the admission on their own. University break in its prospectus every semester with entire course detail including fee structure, OMR form and the whole set of rules and regulation of PTU. Candidate should pay the sub total of examination fees along with semester fees in a demand draft in behalf of Registrar, Punjab Technical University and it should be payable only at Jalandhar. You are not allow paying the fees in liquid cash or on any other name except what is mentioned above. To the learning centre you can pay only the library security money which should not exceed Rs. 1,000/- and is refundable and in case if you have opt for technological courses then the lab charges which should be either less or equivalent to the 1/4th of the total course fees. Once paid, the fees will be not refundable in any mode. Don’t wait and explore your knowledge now with PTU!